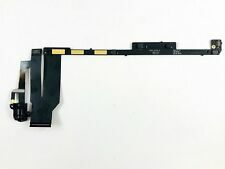 For Apple iPad 2 WiFi A1395 821-1378-A. 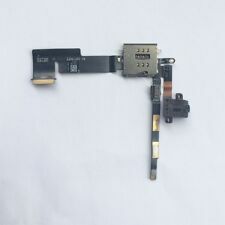 For Apple iPad 2 WiFi A1395 821-1378-A. 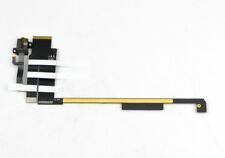 1 x Headphone Audio Jack Flex Ribbon Cable. This is our SOP, for us to be certain and for record purposes. IPad 2 A1395. iPad 2 (Wi-Fi Only). Part Number. Warranty Info Country: Worldwide. 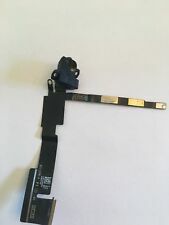 Headphone Flex Cable for iPad 2 Wifi only version. 1X Headphone Flex Cable for iPad 2 Wifi only version. If your headphone jack has stopped working on your Ipad then this is what you need. Compatibility: iPad 2 (Original Wifi Only Version). Compatible with iPad 2 Wifi Model Only! Cellular model is NOT Compatible! -Not Compatible with other iPad 2 Models! -Part Number: N/A. Compatibility List. Compatible with : Apple iPad 2 WiFi Version. IPad 2 A1395 A1396 A1397. Compatible :iPad 2 A1395 A1396 A1397. Head Phone Audio Jack Flex Cable Black. MUST READ! No exception. it may result in void of warranty. We will try our best to satisfy you! Headphone Audio Jack Ribbon Flex Cable. for Apple iPad 2 Wifi Version. Apple IPad 2 Wifi Version (Not compatible with iPad 2 3G version). 1 x Headphone Audio Jack Flex. not for ipad 2nd generation Cellular 3G Version. Headphone Audio Jack Ribbon Flex Cable. for Apple iPad 2 Wifi Version. Apple IPad 2 Wifi Version (Not compatible with iPad 2 3G version). 10 x Headphone Audio Jack Flex. not for ipad 2nd generation Cellular 3G Version. 2012 Apple iPad 2 Wifi Only A1395 (EMC 2650). 1 piece Headphone Audio Jack with PCB Board Flex Cable. This is our SOP, for us to be certain and for record purposes. Compatible Part Number. A1395 (EMC 2650). For iPad 2 WiFi (16GB, EMC 2560). Headphone Audio Jack Flex Cable and PCB Board. 1 x Headphone Audio Jack with PCB Board Flex Cable. For Apple iPad 2 (2012) WiFi Only. This is our SOP, for us to be certain and for record purposes. Compatibility: iPad 2 (CDMA version, EMC 2560). Headphone Flex Cable for iPad 2. If your headphone jack has stopped working on your Ipad then this is what you need. 1X Headphone Flex Cable for iPad 2. (1x) Original BLACK iPad 2 audio headphone jack for 3G. For iPad 2nd Gen 3G model version ONLY! (1x) Original BLACK iPad 2 audio headphone jack for WiFi. For iPad 2nd Gen WiFi model version ONLY! Use this part to replace the defective headphone jack on your iPad 2. 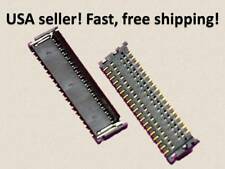 We are PROFESSIONAL dealers in cell phone spare parts, you can be assured your buying from a trusted source. Only Compatible withe the iPad 2 GSM version. Includes the flex, audio jack and sim card slot. Apple iPad 2nd Generation A1395 WiFi. REPAIR PART : iPad 2nd Gen Headphone/Audio Jack. Apple Part #: 821-1378-A, 821-1145-03. Pulled from locked iPad 2. Tested and working. Free shipping. A1395 (EMC 2650). 2012 Apple iPad 2 Wifi Only. QTY: 1 Piece. Replace Part #. SKU: TabRibbonIPAD06. If your headphone jack has stopped working or it no longer detects an installed sim card on your Ipad then this is what you need. 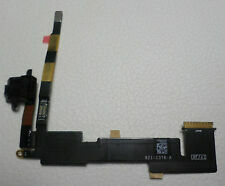 Headphone/Sim Reader Flex Cable for iPad 2 3G Version. 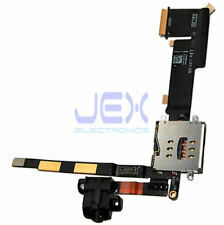 1X Headphone/Sim Reader Flex Cable for iPad 2 3G Version. A1395 (EMC 2650). For 2012 Apple iPad 2 Wifi Only. SKU#: Tab Ribbon IPAD 06. ☛ Replace Part Number. A1395 (EMC 2650). 2012 Apple iPad 2 Wifi Only. Just give us the opportunity to resolve a problem. Duty Rate is vary subject to different countries' regulation. PC board is pre-installed to the headphone jack flex. No soldering required. Compatible with 2012 iPad 2 WIFI A1395 (EMC 2560). We will answer all inquiries promptly. This was pulled from an iPad 2 with a motherboard problem, but all other parts were TESTED and WORKING including this one! Product Line: Compatible with iPad. Product Information. Color : Not Specified. Type: Tablet. A1395 WiFi 2012. Original Headphone Audio Jack for Apple iPad 2nd. Apple iPad 2nd Generation CDMA A1395 A1396 A1397. REPAIR PART : iPad 2nd Gen Headphone Audio Jack. 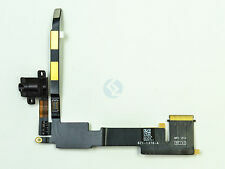 Apple Part #: 821-1462-A & 821-1462-04. This item is a band new headphone flex for Ipad 2. Free professional technicians install the LCD for you! Our products are quality assured! These are the following conditions that we do not cover -- Mandy H.
This Headphone Jack is used in replacing your broken or dysfunctional iPad 2. This is for the CDMA iPad 2 version. iPad 2 CDMA. Product Line: Compatible with iPad. Color: Black. Product Information. REPAIR PART : iPad 2 Gen Headphone/Audio Jack & SIM Card Holder (GSM/AT&T). iPad 2nd Generation A1396 ONLY. NOTE : Excludes iPad 2 A1395 & A1397. This is the Headphone Board for the Black 3G iPad 2. Part Number(s): 821-1377-A. This used part has been fully tested and is in grade B to A condition. Compatible with : Apple iPad 2 3G only.